Satay (also written sate) is a dish consisting of chunks or slices of dice-sized meat (chicken, mutton, lamb, beef, pork, fish etc) on bamboo skewers, which are grilled over a wood or charcoal fire, then served with various spicy seasoning (depends of satay recipe variants). 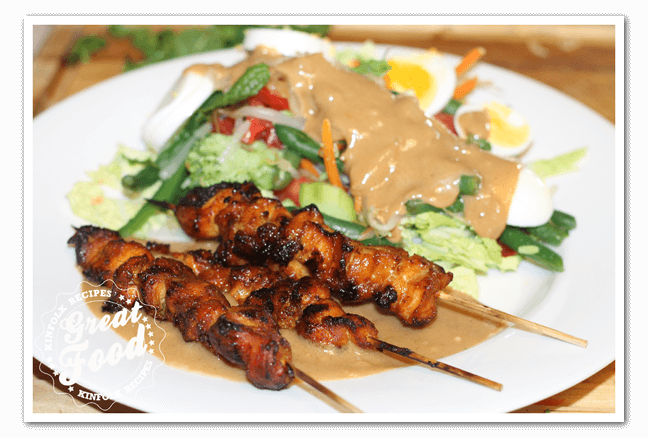 Satay may have originated in Java or Sumatra, Indonesia, but also popular in many other Southeast Asian countries such as Malaysia, Singapore, Philippines, and Thailand, as well as in the Netherlands which was influenced through its former colonies. 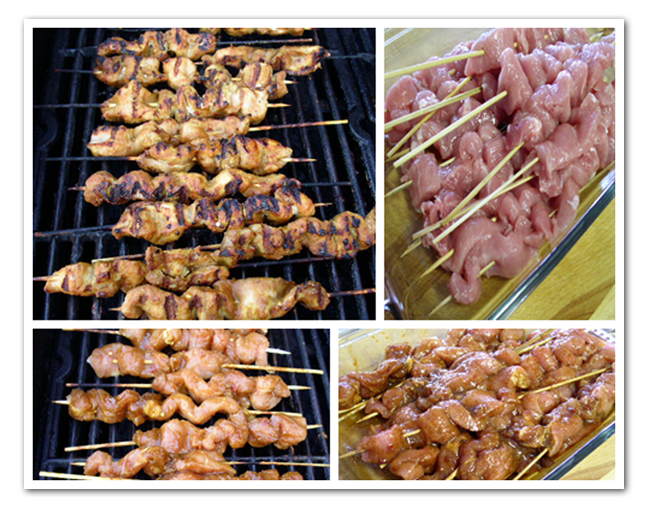 Sate Babi or Pork Satay, Is a popular delicacy among Indonesian Chinese community, whom most of them are not Muslims who prohibit eating pork. It can be found at China towns in Indonesian cities, especially around Glodok, Pecenongan, and Senen in Jakarta area. 1. Soak the sate sticks in water, so they won’t burn on the grill. Mix the seasonings. 2. Cut the meat up in strips. Season the meat and marinate. Preferably overnight if that is not possible let it marinate for at least one hour. Put the meat on the sticks, and grill on your bbq grill on medium high. 3. 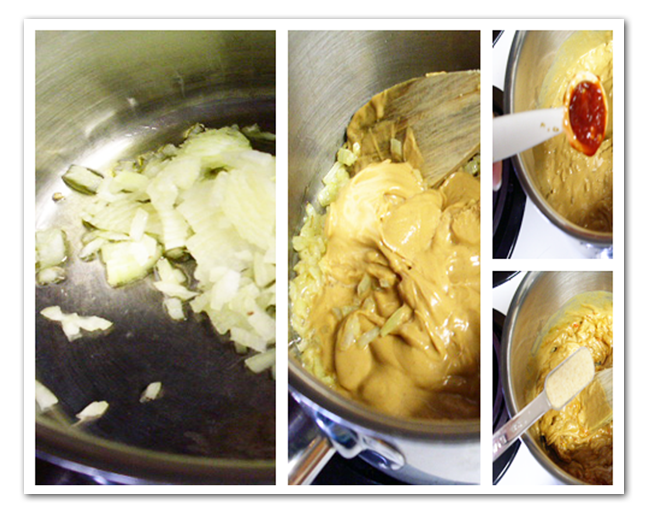 To make the Sate Sauce mince the onion real fine, and brown in the oil, Add the peanutbutter, sambal, garlic powder. Keep stirring. 4. Then add hot water to the sauce till smooth, be carefull because it can overflow. Add the ketjap manis, sugar, lemon juice, ketoembar, laos, and 2 tbsp coconut milk. 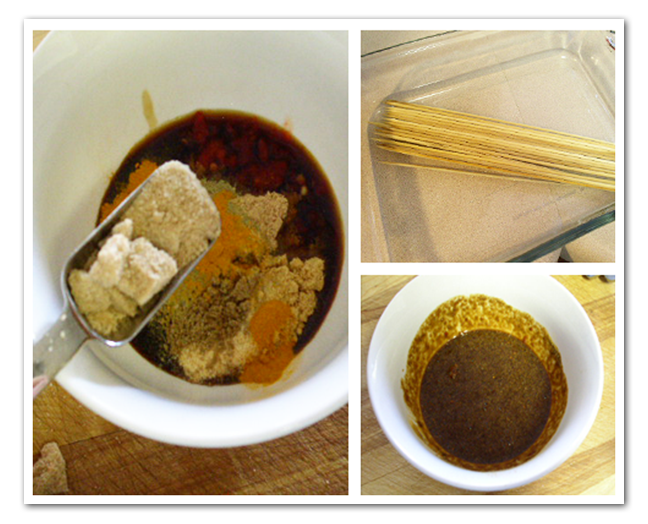 Soak the sate sticks in water, so they won't burn on the grill. Mix the seasonings. Cut the meat up in strips. Season the meat and marinate. Preferably overnight if that is not possible let it marinate for at least one hour. Put the meat on the sticks, and grill on your bbq grill on medium high. To make the Sate Sauce mince the onion real fine, and brown in the oil, Add the peanutbutter, sambal, garlic powder. Keep stirring. 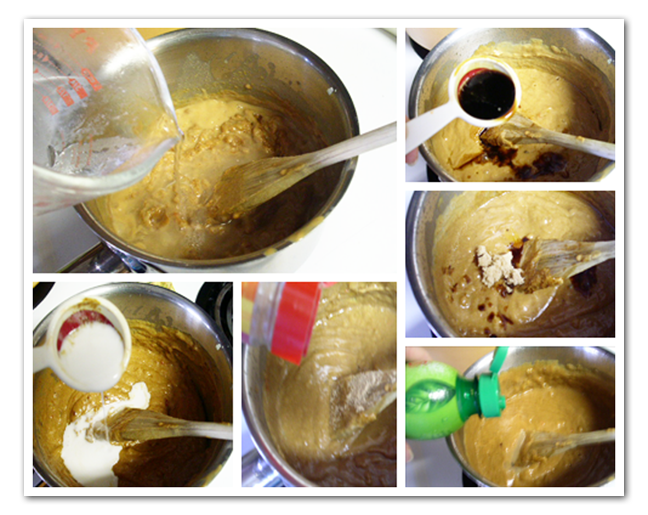 Then add hot water to the sauce till smooth, be carefull because it can overflow. Add the ketjap manis, sugar, lemon juice, ketoembar, laos, and 2 tbsp coconut milk. I love you Webside.L’m going to make the satesaus realy soon andwill let you know how it came out.